It was a very full fall season of activity with Cru Omaha! Our number of campuses where we have Cru has grown to nine, with the opening up of Cru with Bellevue East. Another campus will be opening up in the next few months, as well. Our volunteers are what make it all happen, and we are very grateful for more volunteers coming on board these past few months. More are currently in the process of applying to join our amazing group of 25+ volunteers! 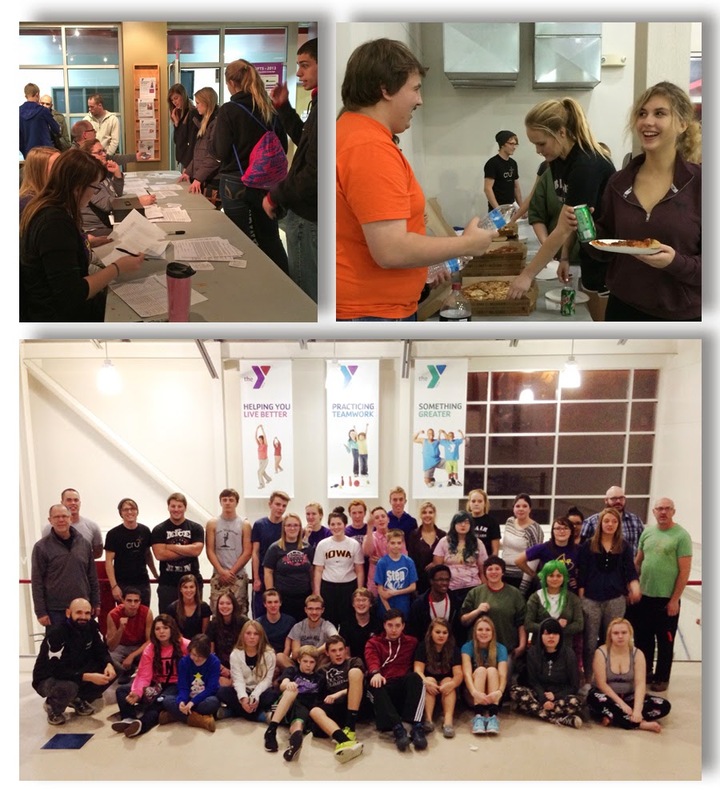 An annual event that we hold for our students for the various campuses groups together is our Lock-In at the Omaha Downtown YMCA. The staff there are so gracious to host us for the all-night event, and our part-time staff guy, Jake, does a great job of giving leadership to this event. Here's a photo of the group taken in the early morning hours. Our guest speaker, Andy Allan, drove up from Lincoln where he is the Cru leader of the college student movement there. His talk (at 1 am!) resonated with the students in a deep way. Mike, another staff guy also from Lincoln, shared his story of coming to know Christ. I really like this topic and I want to see people for how Jesus sees them. I decided to make a fresh start. This was exactly what I needed to hear. It's good to know that I'm not alone. I want to see the world as God sees it. Tonight I feel like God has redeemed me. We praise God for working in students lives that night. Thank you for your prayers for Cru High. Please pray for these students, and for others in our campus groups, that they will be changed forever by the love of Jesus.